I have a confession to make. I enjoy the (mostly) peace and quiet of the school year – not that I like having the kids gone all day every day (who am I kidding? I love the quiet! ), but I do like that the kids are in a regular routine once again, something that tends to take flight during the summer months. While they are great about brushing their teeth before bedtime, during the summer the morning routine of brushing their teeth after breakfast was kind of a hit-and-miss unless we were heading out somewhere. Little Dude was funny – I told him just to brush his teeth like normal while I took pictures, but he just stood there holding the toothbrush like he was going to swallow it and wouldn’t budge until I snapped the picture. Goofy kid. So with school back in session, they’re back to brushing their teeth a minimum of twice a day, which is highly recommended to promote healthy teeth. Let’s face it, when we’re all old and gray, one of our best features will be our smile (well, OK, unless you’re not the smiling type. And if that’s the case, why not?). At any rate, without nice healthy teeth, we’re just going to be grumpy old men and women. 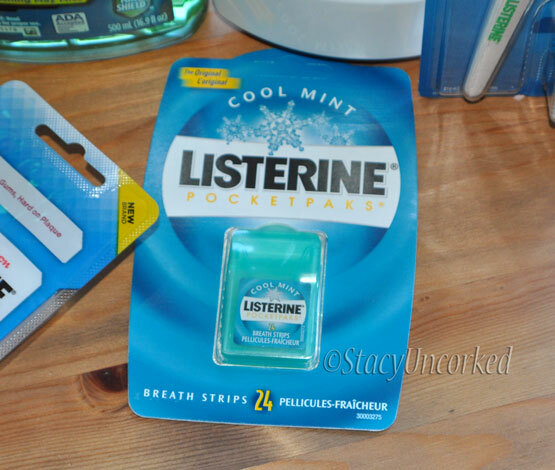 Our absolute favorite choice when it comes to flossing and mouthwash has always been LISTERINE. We’ve tried other brands, but always – always – go back to LISTERINE because it really does work best. Plus we like the taste and fresh feeling after using LISTERINE. My favorite is the Healthy White Rinse, after all, I do need to combat the wine drinking and coffee drinking, right? It’s a peroxide-free rinse that not only helps remove and prevent tough stains, it also restores enamel and safely whitens without irritation, plus prevents cavities and helps prevent tooth decay and eliminates bad breath germs. Little Dude loves the LISTERINE Smart Rinse for kids. He thinks it’s the coolest thing since sliced bread – though I did have to make sure he didn’t try to drink it. Ewwww. Princess Nagger is not a fan – she doesn’t like minty stuff of any kind, so she’d like to offer up a suggestion to LISTERINE to make a version with bubble gum flavor, then she’d be all over it. I always have one in my pocket or purse – you never know when you’re going to need to make sure you don’t have dragon breath at any given moment. These breath strips also kill 99% of the nasty bad breath germs, so if you’re going to imbibe in a garlic or onion filled lunch, you’re going to want to have these for afterwards. Your colleagues, friends and significant other will thank you. Plus they dissolve quickly on your tongue, and if you can’t chew gum (or don’t want to have to deal with the disposal of gum when it’s lost it’s effectiveness, or look like a cow chewing its cud) these are the perfect solution. I’m still trying to get the kids on board with flossing – and if I’m being honest, I’m not consistent with flossing my teeth, either. I found I really like the LISTERINE Healthy White Floss – it has added baking soda ingredient to help remove stains like coffee and wine. Because you know I can’t live without my coffee and wine. 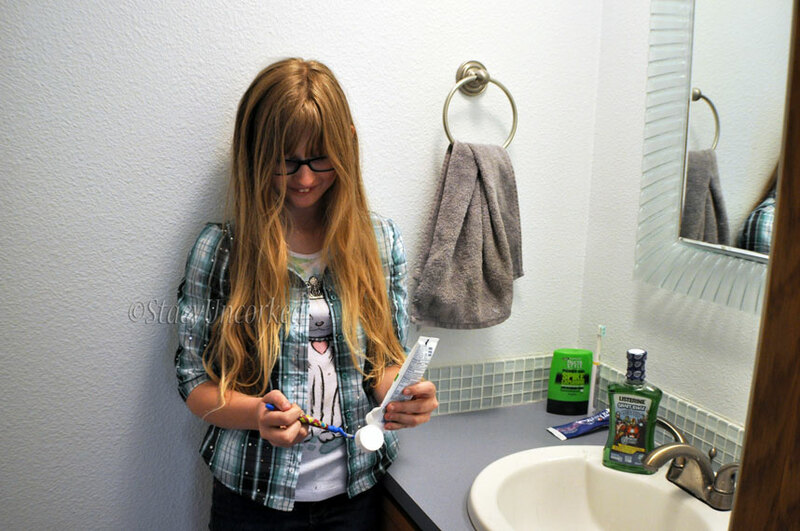 It’s also a shred resistant floss that stretches and flexes easily between teeth, which is definitely something I need, because I have some tight teeth that tend to destroy any floss I try to use – this is the perfection solution for that ugly mess. With more than 100 years of innovation in oral care, LISTERINE® Brand has your family covered with a diverse portfolio of products including a whitening mouthwash, mouth rinse just for kids, unique floss formulations and products to kill bad-breath germs on-the-go. 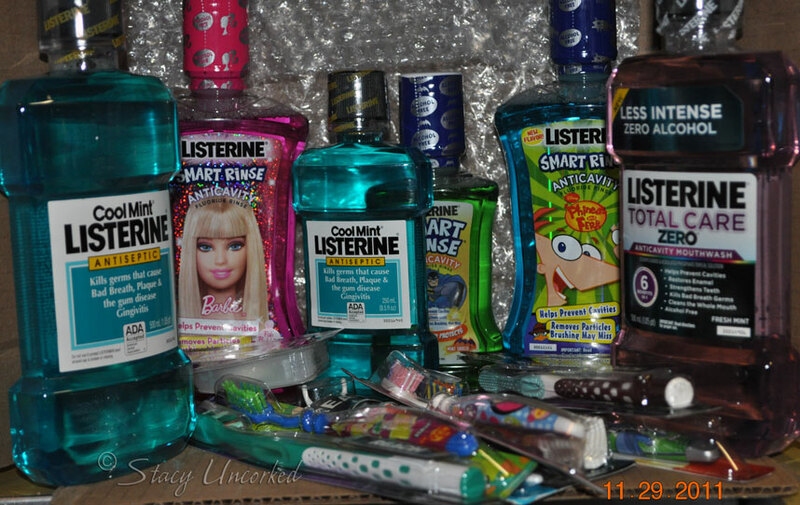 You can learn more about LISTERINE and how to properly care for your mouth and teeth by visiting their website. Feel free to subscribe to LISTERINE on YouTube to stay up to date with new products and promotions and to watch the LISTERINE heroic heroes series videos. And, so you don’t even have to leave your house to make sure you have the proper ammunition to take care of your teeth and gums, you can purchase LISTERINE products online from the convenience of your home. See? No excuses! Do you brush and floss more than once a day? What’s your favorite brand of toothpaste and mouthwash? 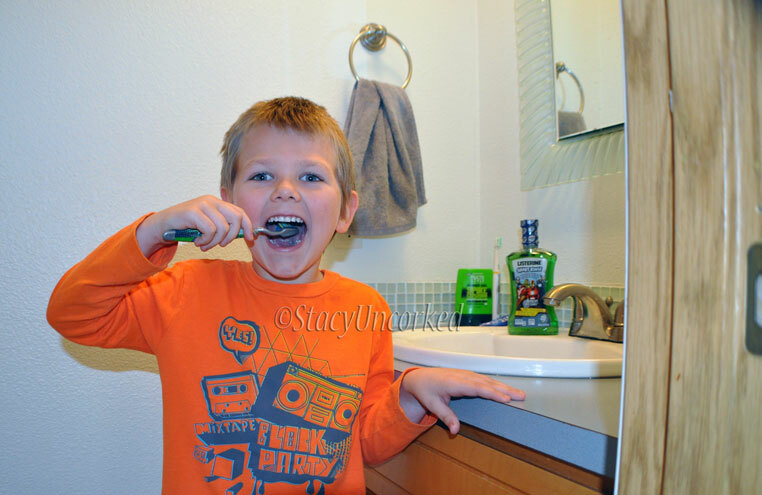 This entry was posted in Alert, Announcement, Review and tagged Alert, Announcement, bedtime, cavities, dragon breath, family, Kids, Listerine, Little Dude, mouthwash, oral care, Princess Nagger, Review, Smile, teeth by StacyUncorked. Bookmark the permalink.